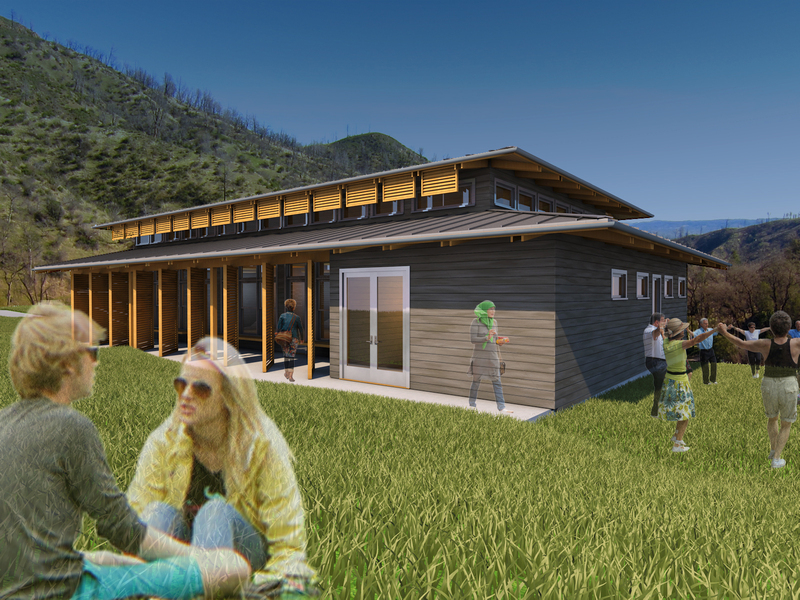 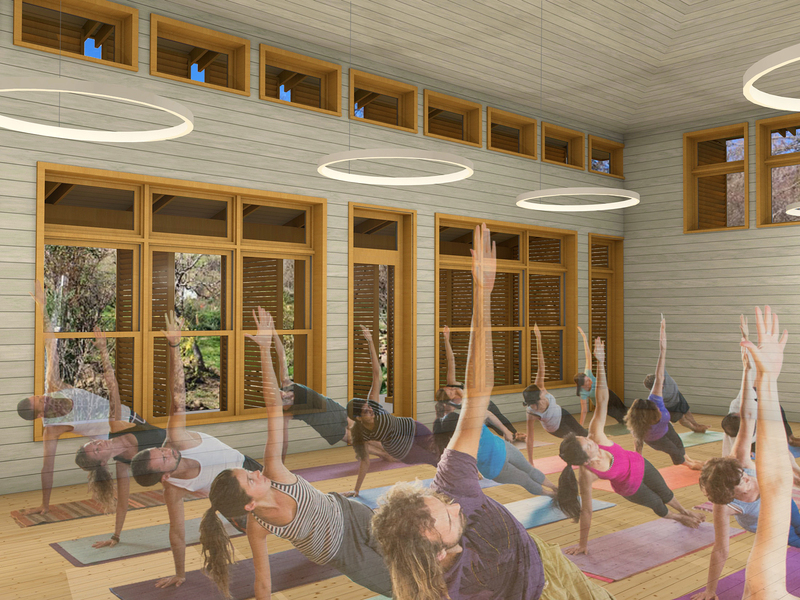 As part of Harbin’s master-planned re-build after the 2015 Valley Fire, this new building will accommodate group gatherings such as yoga classes, meditation sessions, music performances, and movement events. 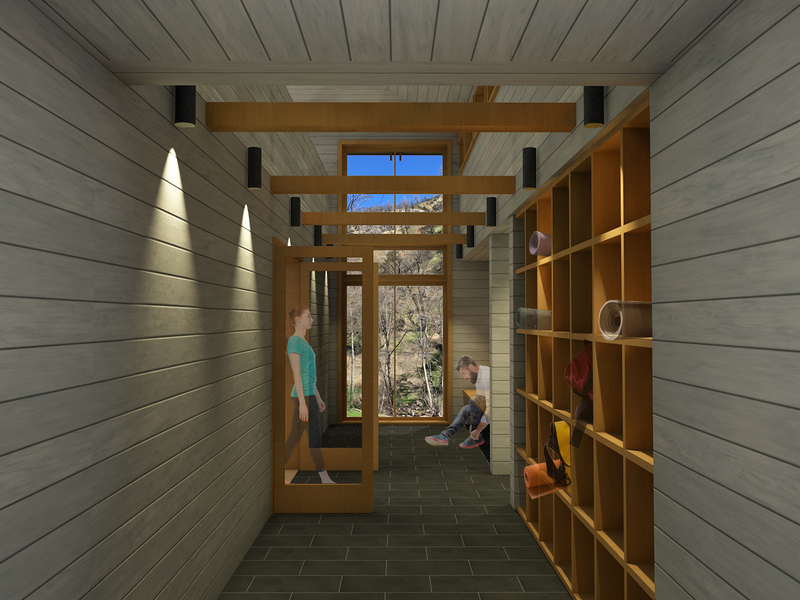 The interior, clad in warm cedar planking is ringed with windows and doors that connect to the adjacent foot path, orchard, and views of the surrounding hills beyond. 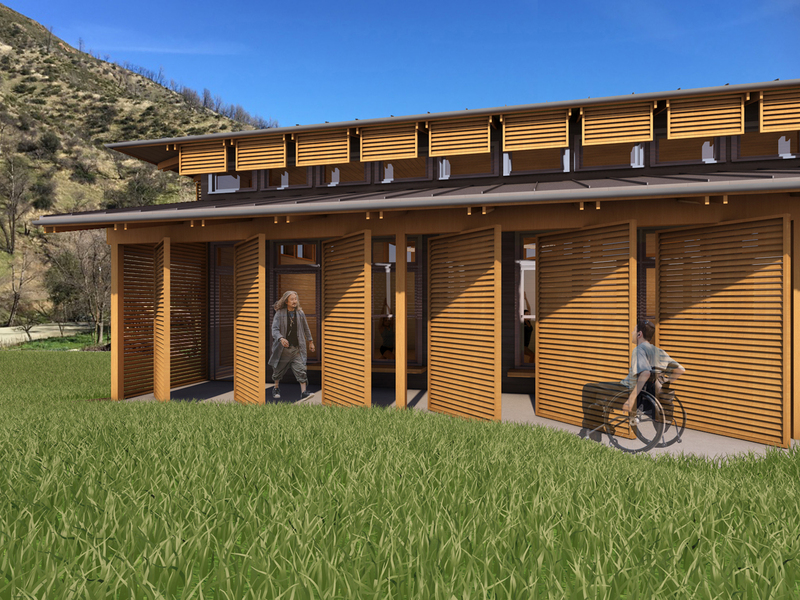 While porous to the outside, these openings are also protected from the strong California sun by way of broad eaves and fixed and movable shutters. 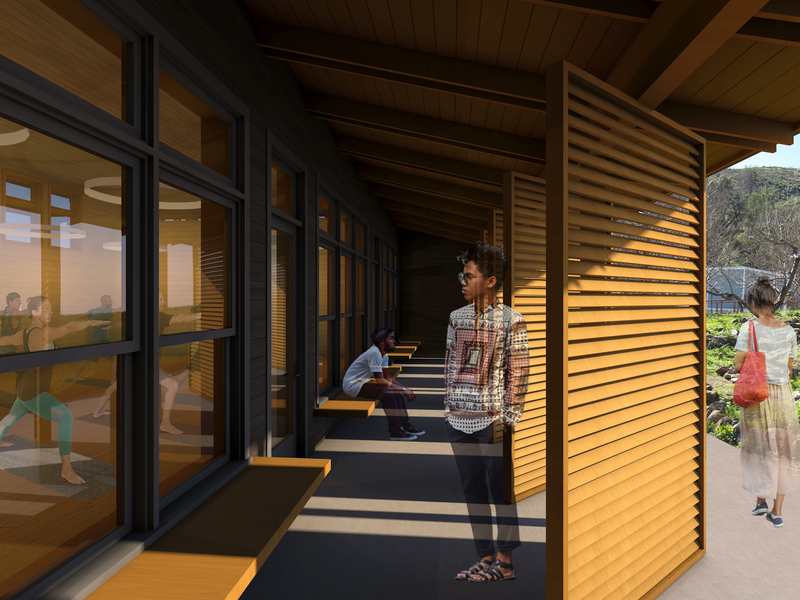 Depending on the time of day, gathering size, and or event type the building can be tuned/adjusted to focus internally, externally, or somewhere in between.